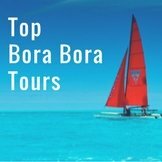 Bora Bora cruises are a fantastic way to visit Bora Bora. My first visit visit to Bora Bora was by cruise ship! Since then, I have taken a number of cruises around Tahiti, as it is a very special way to see these islands. Each morning you wake up with a new islands to explore, and each evening you sail away with the sunset. Sailing into these pristine island lagoons on a Tahiti cruise gives you a feeling as to what it would have been like as an explorer discovering these exotic lands for the first time. 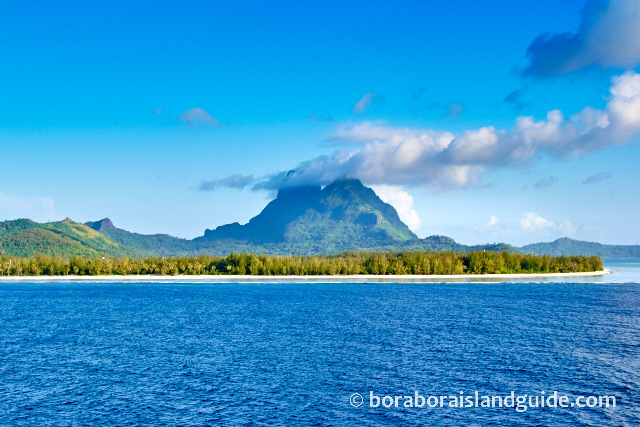 Where do Bora Bora cruises go? Cruises that visit Bora Bora usually make stops at a few islands around Tahiti, and stop at each for a day. 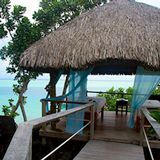 So they are not exclusively Bora Bora cruises – you will also visit some other beautiful islands. Other islands frequently visited on a Bora Bora cruise are Moorea, Huahine, Raiatea, and Rangiroa. 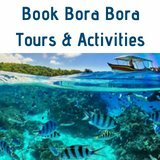 Cruises are a great way to have a affordable Bora Bora vacation, as they include your food and transport between islands, and also offer you the chance to see a number of beautiful islands along the way. 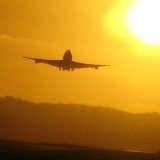 Flying between islands is certainly not as smooth as cruising between them, you only have to unpack once! 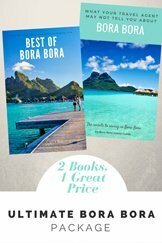 How long are Bora Bora cruises? Cruises that stop in Bora Bora are typically 7, 10 or 14 days in length, with the exception of the longer Pacific cruises that venture to other island groups, such as Hawaii or New Zealand. Cruise ships stop in Bora Bora for 1 or 2 days. 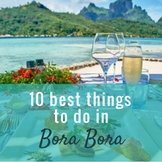 To make the most of your time here, see what our favorite things to do in Bora Bora are, and what we recommend to do from your Bora Bora cruise ship. 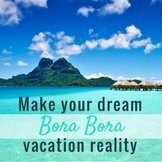 When to go on a Bora Bora cruise? 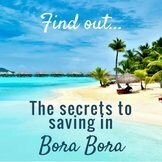 You may not have a huge amount of choice as to when you take your Bora Bora cruise. If you want a particular itinerary you will have to go with the time of year it is on offer, and when it is available. The most popular cruises can sell out a year ahead of time, especially when there are special offers! Plan and book your cruise at least a year ahead of time, especially if you have your heart set on a particular cruise, and cabin style. If you are flexible, watch for last minute special offers when a cruise has unsold cabins left. Be aware that although you might get the cabin at a special price, buying a last minute Tahiti airfare may cost you a lot more. Your good deal may not be all that cheap to take! Sometimes the stars do align and Air Tahiti Nui has a special on, so it's worth a look. 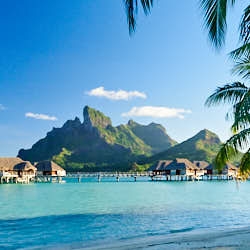 So that you know what to pack, see what the Bora Bora weather will be like when you are planning to go on your cruise. 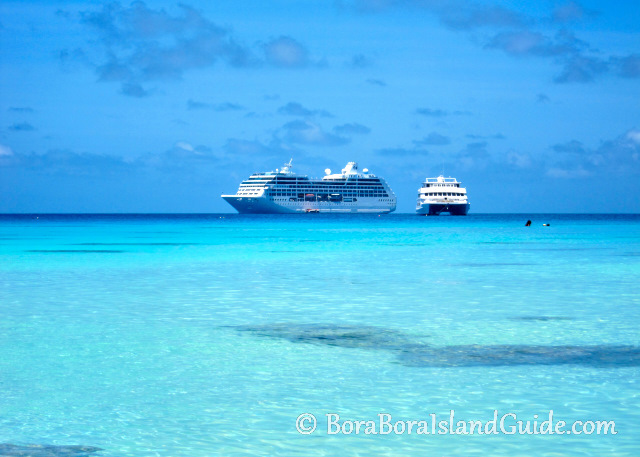 The cruise companies offering the best Bora Bora cruises are the Paul Gauguin, Aranui V and Princess Cruises. 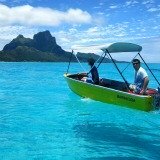 They offer dedicated Tahiti cruises that visit Bora Bora and other exotic Tahitian Islands. 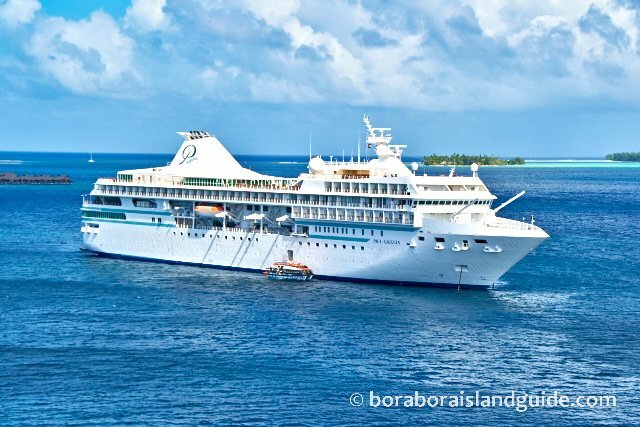 All of these Bora Bora cruises are on small cruise ships, so there is a delightful romance to their cruising style. Life­-time friendships are created in the dining­ room on more intimate cruises. You'll get to know your captain and receive VIP favors from the friendly staff. 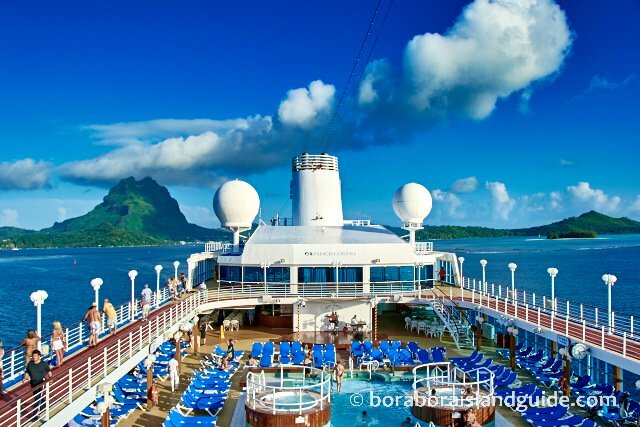 Other cruise companies, sail through Tahitian waters, stopping at Bora Bora while on longer, transpacific cruises. Paul Gauguin offers the most authentic, Polynesian cruise, sailing around Tahiti's beautiful islands. Gauguin cruises also provide the most varied itinerary options, with a choice of different cruise lengths, and island groups to visit. This company takes pride in giving guests Polynesian warm, vahine hospitality. The refurbished Gauguin, transports you on a luxurious, all inclusive Bora Bora vacation. 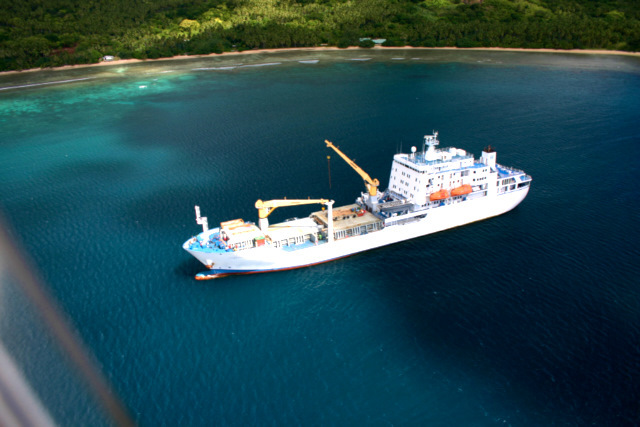 The Aranui “freighter to Paradise”, serves as both a passenger and cargo ship traveling between Tahiti, Bora Bora, Rangiroa, and far out to the pristine Marquesas Islands. 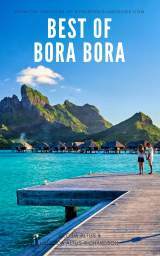 After the launch of the new Aranui V in November 2015, a stop at Bora Bora is included in it's route. This ship offers a close connection to the real Polynesia, taking you to remote, pristine islands that few get the privilege to see. It's a true, adventure cruise! Princess Cruises offers a traditional style cruise through some of Tahiti's best known islands. 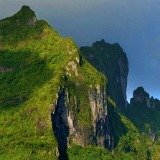 A Tahiti Princess cruise itinerary gives a superb “first taste” of French Polynesia. You can expect immaculate cabins, quality dining, and impeccable service with a smile. 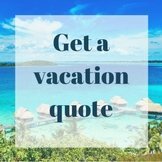 This option gives the best value for dollars spent of any Tahiti and Bora Bora vacation we have planned! We have taken this cruise a ridiculous number of times and have always had a lovely experience with Princess hospitality. The original Princess “Love Boat” of the 70s was sailing these waters until a few years ago, when the ship was nostalgically retired. Transpacific cruises can be taken with Celebrity X, Carnival, Norwegian, Holland America, and L'Austral. These cruise ships pass through the Tahitian islands a limited number of times each year (sometimes only once). 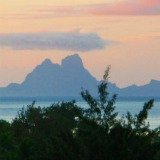 They give a glimpse at French Polynesia, usually offering two stops, the main island of Tahiti and Bora Bora. Often sailing between the USA and Australia, their cruise lengths and itineraries vary, and include Pacific Islands such as Hawaii, Tahiti, Fiji, and New Zealand. Cruising is such a relaxing and interesting way to get from A to B. What does a Bora Bora cruise cost? The most affordable way to cruise Tahiti and see Bora Bora is on one of the Princess 10 night cruises. This isn't just the most affordable of all the Tahiti cruises, it's the most affordable Tahiti vacation option! It includes food, travel and accommodation (but not drinks). It takes you to more Tahitian islands than you would see if you flew to Tahiti, even sailing out to Rangiroa in the Tuamotu Atolls! The cost of this cruise can vary. We have booked it on special last minute deals for $1600 per person, twin share in an ocean view cabin, and for $1800 per person for a stateroom with a balcony. The usual cost is around $2000­$2500 per person, twin share, depending on your cabin type. Even at the regular price, these Tahiti cruises are a great value 10 day Tahiti vacation. The only extras you pay for are drinks, excursions of your choice, and souvenirs. Check out the Paul Gauguin sailing times if you want a more luxurious cruise, with the relaxation of an all inclusive Tahiti vacation. 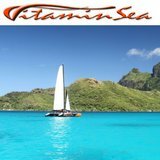 You can cruise Tahiti without ever producing your credit card as all drinks and excursions are included! A Paul Gauguin cruise for 10 nights costs $5000 per person, twin share. 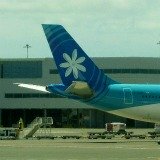 Look out for specials that include your airfare from Los Angeles, hotel room in Tahiti, or 50% off specials. Sometimes they even offer both! Sailing on the Aranui as a visitor is a specialist adventure cruise, and offers accommodation from dormitory style bunk berths to presidential suites. Aranui caters for completely different traveler styles and budgets. 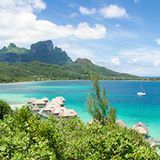 For an in­depth experience of romantic Tahiti and Her Islands, we recommend looking at the Paul Gauguin, Aranuii or Princess Bora Bora cruises. These spectacular sailings will immerse you in ambient sights, sounds, tastes, and fragrances of the real Tahiti spirit. Choose one of these Bora Bora cruises that fits your budget.